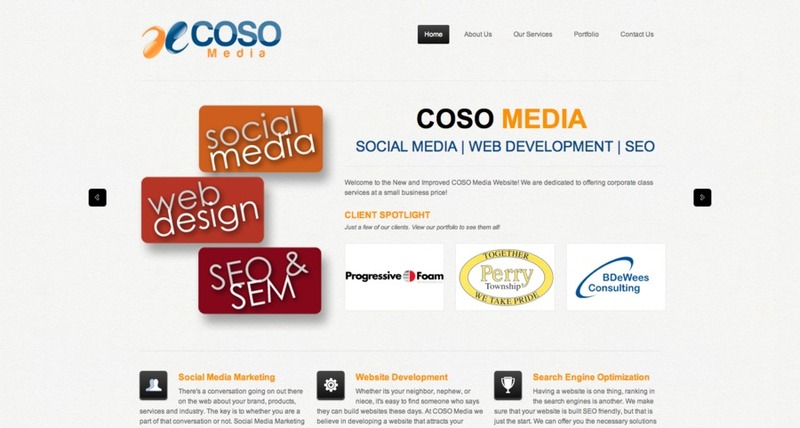 COSO Media is an Ohio based Internet Marketing Firm that makes Social Media, Web Development and Search Engine Optimization easy and affordable. We are committed to providing high quality services at an affordable cost. This is the screenshot of our homepage of our website.